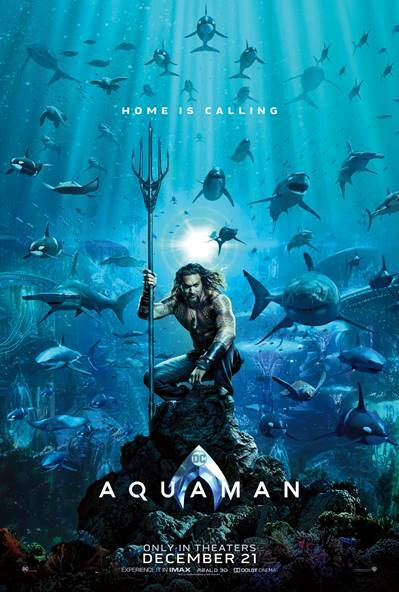 We know you love superheroes as much as we do, and that is why, in case you missed it, we'd love to share the new trailer of Aquaman with all of you. In my opinion, Jason Momoa will make of this character his own with his essence and personality. I love the idea that he is playing Aquaman and I just can't wait for this film to arrive to theaters. In the mean time, sit back, relax, and enjoy the trailer. So what did you think? I think this movie is going to be beyond amazing with all the special effects. I am just a nut for all movies that take place underwater, so I can already see myself with eyes wide open throughout the film, haha. Don't forget to follow Aquaman on social media, and our blog as well to keep up-to-date with the latest regarding this film.